He is a prime example of showing what an impressively ripped physique and lean size can be achieved by natural bodybuilding. 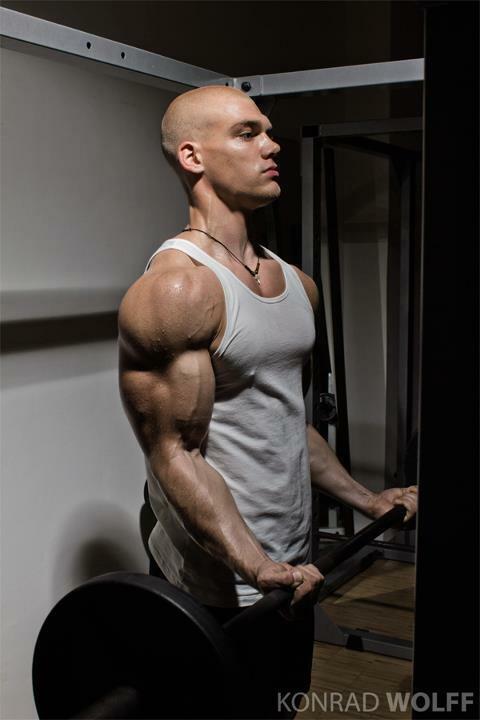 Mischa Janiec is a 21-year-old athlete from Switzerland who stands 6' 3" at 220 lbs. His physiqual achievements are as imposing as his way and approach to natural bodybuilding. His workout and posing videos, which become more and more popular, convey his passion and dedication. Mischa: "I love to work out hard, and to go to the limits of my capacity." He completes the common phrase "No pain, no gain" and empasizes "No brain, no gain" is equally true and important. Therefore he recommends all bodybuilding enthusiasts to join a board or community to learn as much as possible about training and nutrition. However, he warns not to carry out orders blindly, but encourages to stay instinctive, and to trust in your own experience and feeling. He shares his profound knowledge on his Facebook page where he posts exercise, nutrition, and supplement tips, always pointing to the things that constitute natural bodybuilding. The young Swiss athlete has many additional plans and goals. He aspires to do more fitness modeling, especially in the US. Mischa says, he likes to display a "raw, manly" type, and does not want to be "the sweet boy with the wet hair look". And he would love to produce a comprehensive workout video. Training, competing, modeling - everything with highly promising results. Mischa is a natural bodybuilder to the core whose career has only just started.